After four years of anonymity, Thomas and James Copeland have been identified as the principals of the LLC that committed 16 campaign violations in their fight against Ernie Dalidio’s proposed San Luis Obispo County development. For his part in the running of the Responsible County Development LLC, the FPPC determined Dave Booker committed six campaign violations. “Respondents violated the Political Reform Act’s provisions against making contributions in a name other than one’s legal name, failing to identify the true source of funds contributed, and failing to file major donor semi-annual and late contribution campaign statements,” according to the FPPC court complaint. The current FPPC action is the latest chapter in an almost 20-year battle to prevent Dalidio from erecting a 131-acre mixed-use-development on his land off Highway 101 near Madonna Road in San Luis Obispo. 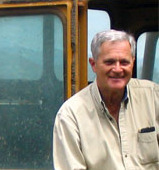 James and Thomas Copeland own numerous properties in San Luis Obispo and have battled behind the protection of the LLC to protect their business interests. On Oct. 14, at a hearing in Sacramento, the FPPC is slated to level $80,000 in fines against the members of the LLC. Because the sanctions are in default, the state is asking for the maximum, $5,000 for each violation. Aside from the Copelands, an unknown number of San Luis Obispo County residents donated to the LLC in their fight against Dalidio’s planned development, such as former San Luis Obispo City Councilwoman Christine Mulholland. Though others involved in the fight against Dalidio were not charged with violations by the FPPC, McKiernan is not ruling out naming others in a possible lawsuit. In 2008, McKiernan attempted to file a Racketeer Influenced and Corrupt Organizations Act (RICO) suit which claimed local developers illegally interfered with Dalidio’s proposed development costing him millions of dollars in lost revenue. Court declarations focused on the Copeland and Madonna family property developers. At the time, attorneys for the LLC contended Dalidio’s lawsuit should be dismissed due to anti-SLAPP statutes allowing a judge to dismiss a suit at the onset. SLAPP or “Strategic Lawsuits Against Public Participation” refer to lawsuits often filed by developers and government officials against individuals and community groups for speaking out on civic or government issues. Correction: Oct. 6, 2010 – Christine Mulholland said CPR for Citizens for Planning Responsibly when asked about donating to the No on J campaign. CPR is not part of the action taken by the FPPC. I exposed the Copeland’s years ago as the driving force in the anti-Dalidio campaign and was crirticized for it. Look who is laughing now! Dalidio should sue the Copelands for all the income he has lost for not having his property developed. Big money, corruption, payoffs, collusion, shooting down the Dalidio project over concerns of environmental damage and increased traffic in an already disasterious area , yet just about every box store is littering our county including the Taget project which just happens to be run by the Wallace Group. After hearing some of the contractors in this county tell stories of corruption, being forced to pay 15% off the top for approval of a project to Wallace, and the whos who of getting a project approved it makes one wonder. Wallace Group meet the Copelands, or are you already in bed together? I forgot to mention that Ernie has the most FANTASTIC attorney with Jim McKiernan…He’s simply the BEST! Your right , what other attorney would take this local case and go up against such wealthy people? McKiernan has been working on this for a couple of years and has used some very creative law to wrangle in this individuals.Someone find a fat lady to sing, cause its time for her to sing, it’s gonna be expensive for the Copeland’s and I hope Mr. Dalidio gets a huge stack of cash and attorneys fee’s! I think the Copelands and Booker should be made to pay all costs associated with developing the Dalidio property. Someone please post a map of every commercial piece of property owned by the Copeland brothers. I for one will NEVER step foot in ANY of them again. Everything on this side of the city limit sign. I have stopped shopping Copeland Stores for along time. Baiscally the core downtown area. I usually ask…I think many of the stores surrounding that are Rossi owned? The Creamery, Garden St, Chorro across from the Mission. Correct me if I am wrong plz. I usually go to the Madonna center for Borders as opposed to B&N. I walk to Madonna from the downtown area or drive my Hybrid….Some of the downtown traffic needs to be dispersed anyway. Hardly walkable anymore. Cartoon by Ed Stein, yet another highly-talented ink-stained wretch who lost his job due to newspaper downsizing this year. Thanks for posting! This story will soon fade away as so many do. The Copelands will never pay a dime in fines or suffer any legal consequences. There will be no media follow up . Business as usual in SLO County. can accrue and be owed to Mr. Dalidio,it only gets worse from here for the defendants.